We use signs everyday - to figure out which way to go to know if a store is open or closed to welcome guests and to mark a room as belonging to someone special - just to name a few. Hand carved wooden signs can add warmth and charm to any home or business. 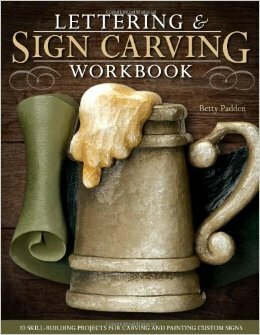 In the Lettering & Sign Carving Workbook author and woodcarving instructor Betty Padden shares her designs and techniques for creating custom signs.